Aligning plaid and stripe fabric can be tricky and time consuming. 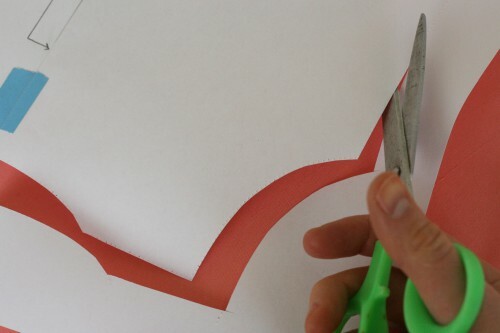 This tutorial shows you one way of aligning stripes. It definitely takes a bit of time, but it’s a nearly foolproof way of getting the job done. Patterns that match up on the sides always look professional. Take some time to try out this technique if you’ve never done so before. When sewing with plaids or stripes, it’s best to purchase a little more fabric than you need. Usually you’ll end up using more fabric with stripes or plaid because you have to match up the fabric pattern correctly. When sewing, the trick is to go slowly and check as you sew, making sure the fabric is still aligned. 1. Lay out fabric in one layer. Place pattern piece on fabric with the grainlines matching up. 2. Cut out pattern piece. 3. Turn over the piece you just cut. Place the right side down on the uncut fabric. Make sure that the pattern is aligned correctly. 4. Flip the pattern piece. 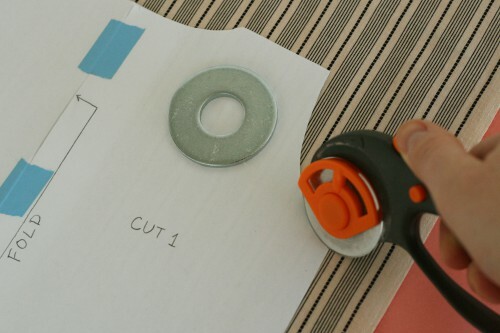 Place on top of the piece you just cut. Cut out second pattern piece. 1. Place pattern piece on a large sheet of paper. Tape along the fold line. 2. 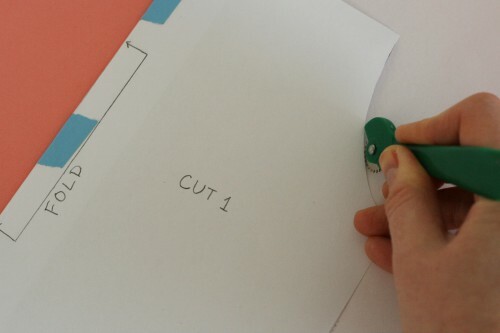 Lightly score the line and fold the paper over. 3. 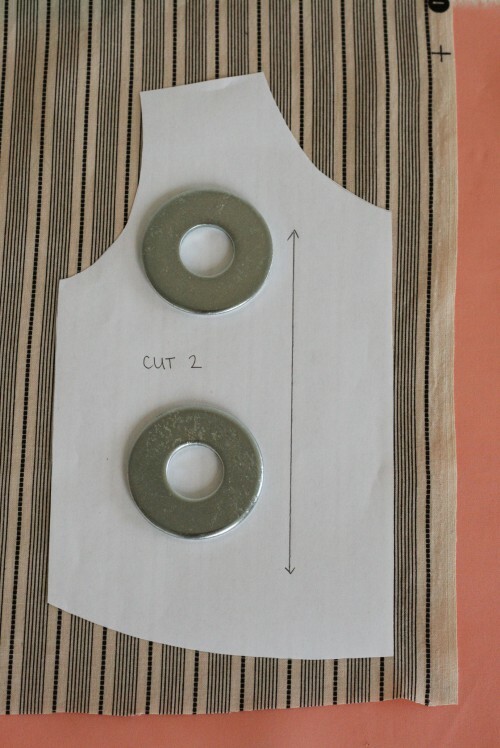 Use a tracing wheel to trace the outline of the pattern piece along with any notches and markings. 3. 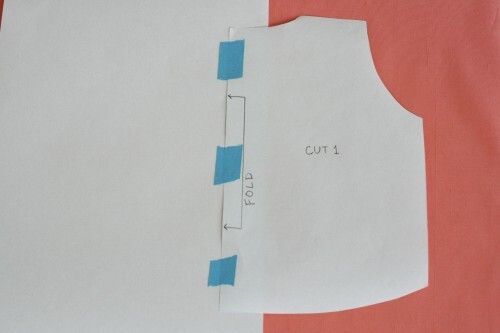 Fold piece back out and draw a grainline. 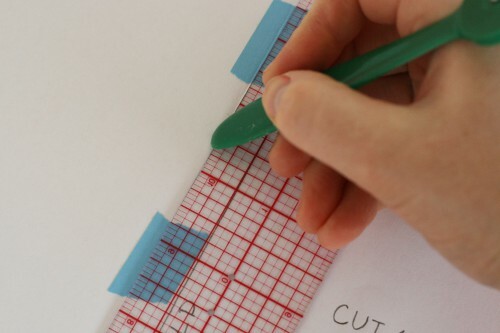 Do this by matching up a ruler along the fold line and drawing a line on the pattern piece. 4. Cut the pattern piece out along the traced outline. 4. 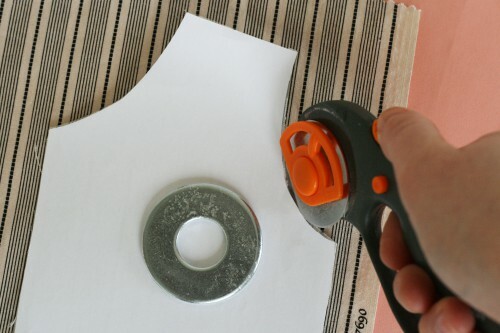 Smooth out the paper and place on fabric. 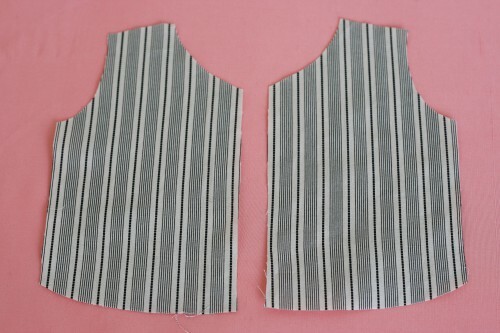 Match up the sides with the corresponding pattern pieces to make sure the pattern is aligned before cutting. 5. Now go ahead and cut the fabric. 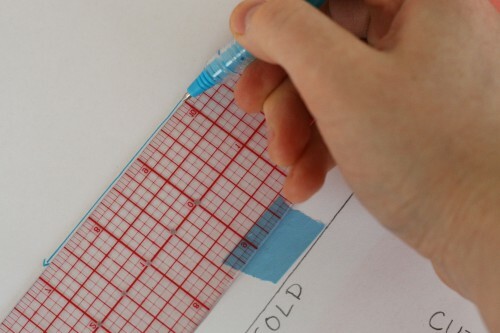 These methods can easily be used for plaids, horizontal stripes, and patterns on a grid. While there are several ways to attain matching sides and pieces, this is the one we prefer to use. If you have any tips you’d like to share, please do so in our forum post on matching plaids and stripes! This is really awesome – thanks! Thanks for this tutorial… I have been trying to figure this out for ages!! can you show pictures for a gored skirt? and diagonal lines? This is totally kool! Thanks for showing this technique. I have some beautiful stripes and plaids in my stash and will certainly give this method a try. 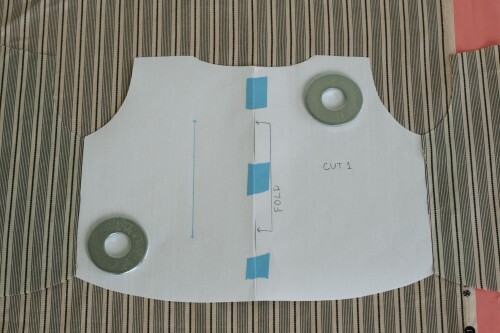 When you’re lining up the sides with the corresponding pattern pieces, do you overlap them for the seam allowances? It seems like your vertical stripes wouldn’t match up after you sew if you didn’t. Hi, they should still line up and kind of create a V on the sides because the pattern in this example has a curved side seam. The only way it would appear to be lines like |||||| would be if the side seams were perfectly straight. How did you know I needed this tutorial right now?!? 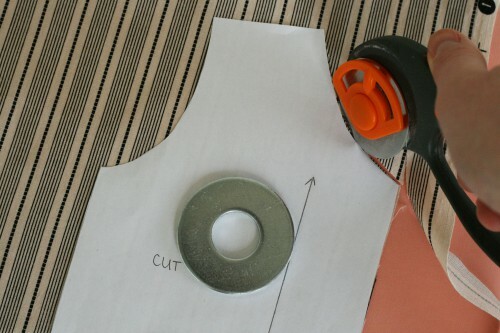 This site and the snippets mailings always help solve my sewing dilemmas. Many thanks. Love the fabric weights! Any details on where I could procure some? They’re much cooler than my pin cushion/extra sheers/whatever I find laying around. Hi! Those are metal washers are from a local hardware store. I’m sure you could find them at any hardware store and inexpensively, too! When I read this a few days ago I did not know how handy the info would be. Really made matching up & cutting out my prints/pattern pieces a million times easier. Thank you so much! You girls make everything look easy! ;) Thanks so much for this. I’ve been putting off a project in gingham for a while. I thought this was going to be a lot more difficult! What about the sleeves? How do you match them up? Thanks! We are working on a 4-H project and this was really helpful. I am also wondering about sleeves — for instance, if the stripes were horizontal on the bodice but I wanted them to go lengthwise down the sleeves for interest? I assume this same method would work — matching things up at the shoulders of the sleeves and bodice so the stripes would “meld” into one another. Is there any hidden master seamstress trick I don’t know about, though? As in, would that not work out in the end? I used this tutorial in making a plaid cape style coat. Here is my blog link: http://theenchantedlilypad.blogspot.com/2013/10/plaid-matching-interlining.html It worked beautifully!